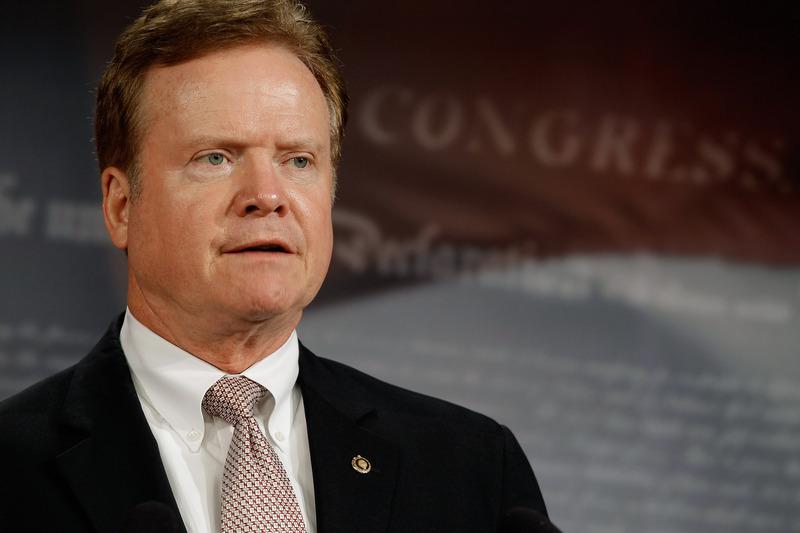 WASHINGTON (AP) -- Former Virginia Sen. Jim Webb launched an exploratory committee to consider a Democratic presidential campaign in 2016, taking the first official step in what could become a challenge to Hillary Rodham Clinton. Webb announced the exploratory committee in a message posted from his Twitter account late Wednesday, making him the first candidate of either of the two major political parties to take the initial official step for the White House. "A strong majority of Americans agree that we are at a serious crossroads," Webb wrote in a message posted to a website for his committee along with a 14-minute video address. "In my view the solutions are not simply political, but those of leadership. I learned long ago on the battlefields of Vietnam that in a crisis, there is no substitute for clear-eyed leadership." The former Virginia senator has hinted at a possible presidential campaign for months and made campaign appearances this fall with Democrats in the early voting states of Iowa and New Hampshire. But he would be considered a longshot against Clinton, who will be the leading Democratic candidate for president if she seeks the White House again. Webb's surprise announcement, released shortly before midnight, sets the possibility of a primary challenge to Clinton, a field that could also include Vice President Joe Biden, Maryland Gov. Martin O'Malley and Vermont Sen. Bernie Sanders, an independent who has said he would run in the Democratic primary. The message from Webb included appeals to Democrats who have struggled during the economic recovery and criticized political leaders for being too close to Wall Street. The former senator also makes the case for a shift in foreign policy that cautions against overseas entanglements. Webb said the nation faces major obstacles in governing and points to domestic and foreign policy items that need to be atop the agenda. "We need to put our American house in order, to provide educational and working opportunities that meet the needs of the future." He noted the stock market has nearly tripled during "this so-called `recovery'" while income levels and loans to small business owners have decreased. He said the U.S. needs to "redefine and strengthen our national security obligations, while at the same time reducing ill-considered foreign ventures." Webb acknowledged he would face considerable challenges in a presidential bid, saying "early support will be crucial as I evaluate whether we might overcome what many commentators see as nearly impossible odds." The committee will allow Webb to raise money and travel the nation to test the waters for a potential campaign. The 68-year-old Vietnam War veteran served as Navy secretary under President Ronald Reagan. He defeated Republican Sen. George Allen in his 2006 Senate campaign, serving one term. In the message, he said he entered the race against Allen only nine months before the election and trailed by 30 percentage points before prevailing. Webb cast himself as an outsider, saying, "In politics nobody owns me and I don't owe anybody anything, except for the promise that I will work for the well-being of all Americans, especially those who otherwise would have no voice in the corridors of power." "All I ask is that you consider the record I am putting before you, and give me the opportunity to earn your trust," he said.